In John Scalzi’s space opera novel The Collapsing Empire, he introduced a world where a vast, planetary empire grew throughout the galaxy by way of the Flow, a faster-than-light network that allows for interstellar trade. At the end of that book, the network was beginning to collapse, setting up a perilous situation for the next book in the series, The Consuming Fire, which is out next week. The book will be out in hardcover and audio, and as is the case with most of Scalzi’s audiobooks, it’ll be narrated by Wil Wheaton. Audible provided us with an excerpt of the audiobook, in which two of the novel’s characters come face to face with a ghostly presence on a starship, one that highlights just how much a language can change over several centuries. 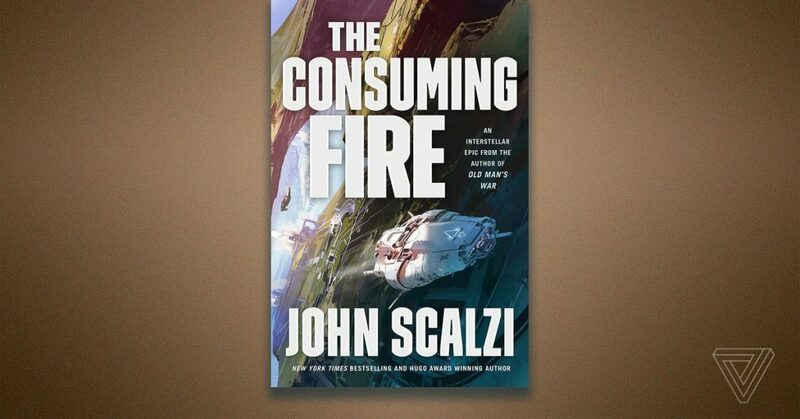 The Consuming Fire will be released on October 16th.